Men: Time to suit up! You no longer have the luxury of sitting on the sidelines. STILL dont know why everyone went w/ her nutritional demands. She’s a lawyer (by education anyway) and nutrition is not a big part of the studies of lawyers. She never worked in nutrition either. Her credentials consisted of reading some pamphlets. As a registered nurse,it was a part of my education. I know what low sodium does to people and how important it is to eat enough. She took old myths and made them policy. Now studies are completely disproving her ideas. I have seen elders b/c very confused b/c of low sodium and young adults b/c cognitively messed up b/c of diluted sodium levels. The brain MUST have it. I wonder how many kids’ cognitive development has been permanently harmed. The kids who eat almost all meals in day care or school are the most likely to have been injured. They’re the most likely to be poor also; so I doubt we’ll ever know. Thank-you, Ms. Knapp! Good input. Hi Tom! I just hate it when people w/ only fleeting knowledge of a topic demand to tell others what’s good for them. 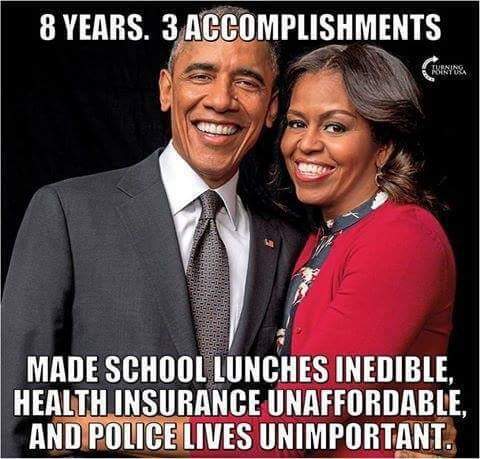 As I understand it, this woman has never had a job that didnt come to her as a result of her husband’s connections in Chicago, The only thing she’s trained for is law and she cant even do that any more. She had a position at a hospital for which she got huge pay and had no job responsibilities. She sort of reminds me of this chick that wanted to be POTUS. If she hadnt married Bill, no one would know who she is. She was unaccomplished in every political position she held. She too was educated in law and can no longer legally practice. I may be beating a dead horse, but why do we give these women so much authority in our lives and country. One has no real life experience out of law and was never elected, but she was seen as some sort of authority. I believe the answer is perception trumps reality. Hardly BEGINS to cover the carnage………e.g. national debt, chaos in foreign policy, what the H bathroom can we use……need I go on!?!?! ?